@Home is a series of culinary eBooks that brings together the knowledge and skills of experts in artisan food production. These books will show you how to produce unique artisanal food, at home and from scratch. The series will cover baking, cheese-making, brewing, smoking and curing meats, and more. The eBooks take full advantage of the digital format by featuring demonstration videos, numerous images and detailed step-by-step guides. Tried-and-tested recipes are provided alongside essential techniques and knowledge, so that mastery of the subject is achieved through a combination of practice and know-how. The first publication in the series provides an introduction to artisan baking for the most important meal of the day. Click here to find out more about Baking for Breakfast. 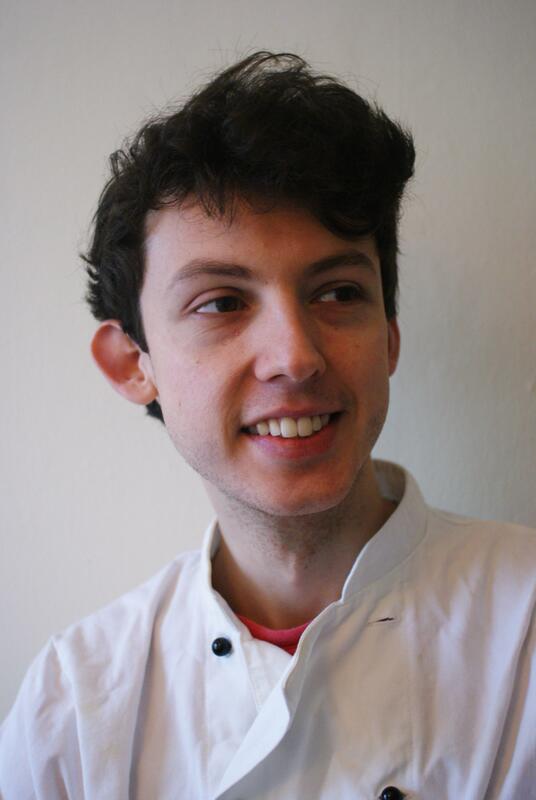 Alex Lambert was born in Luton, UK and has always been passionate about food. So much so that in 2011 he left his job at a research laboratory to pursue his dream of cooking for a living. He began working in restaurants and cafes and during this time developed a love for real, artisan bread. He trained as an artisan baker at the award-winning School of Artisan Food in Nottinghamshire where he is still remembered for his beer-guettes, mushroom brioche and flour-encrusted uniform. Alex has worked in bakeries around the UK, as well as developing new recipes and flavour combinations in his spare time and hosting the occasional artisan bread and wine tasting event in his beloved university town of Norwich. He currently lives in Hackney, East London and works as a baker at the Balthazar Bakery in Lambeth. A self-confessed egg-thusiast, for breakfast, he loves nothing more than scrambled eggs, sourdough toast and a nice cup of tea. This is his first book.